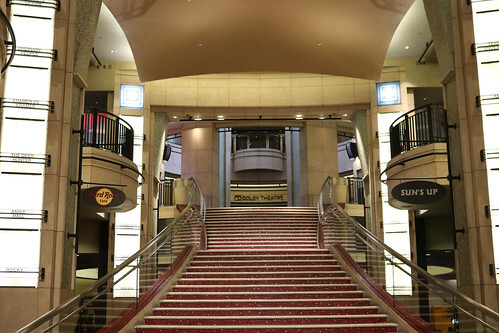 The Grand Staircase at the Dolby Theatre in Hollywood California. 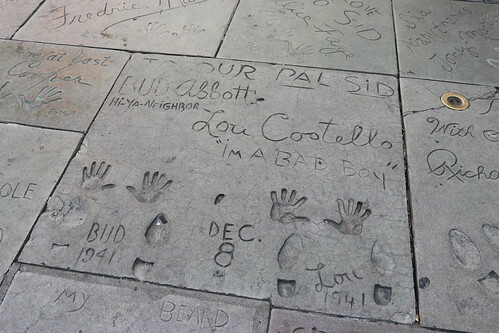 The names of former best picture winners line the columns on either side, with room for winners yet to come. 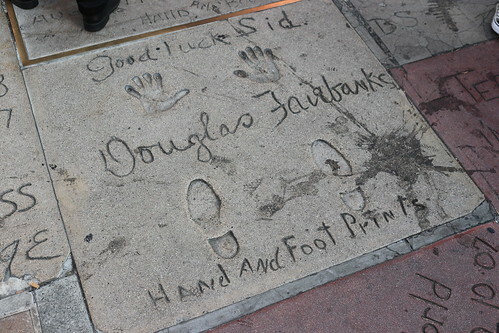 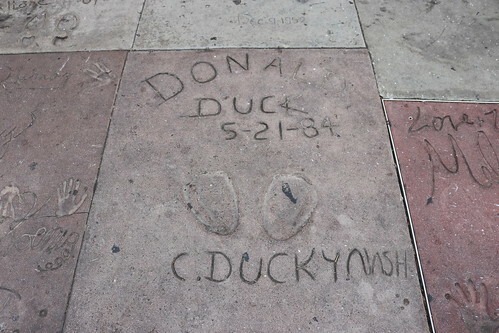 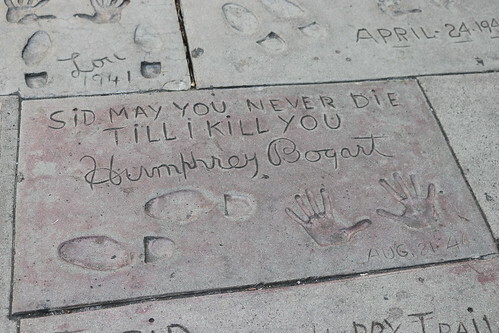 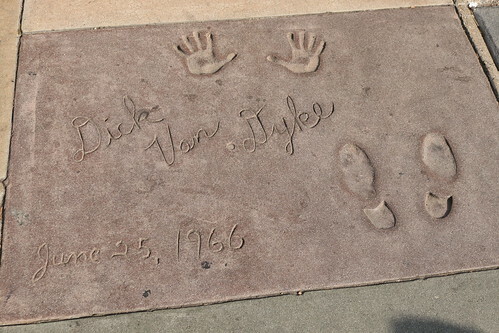 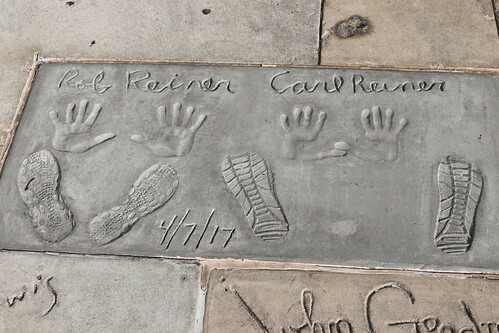 The only animated character with hand/foot prints at the TCL Chinese Theatre. 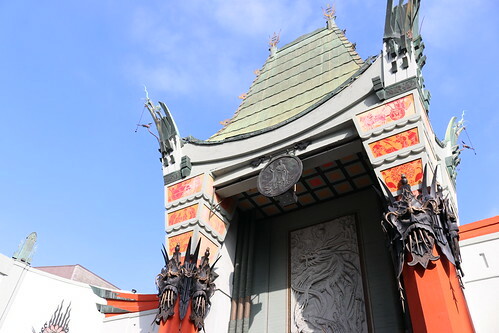 TCL Chinese Theatre is a movie palace on the historic Hollywood Walk of Fame at 6925 Hollywood Blvd. 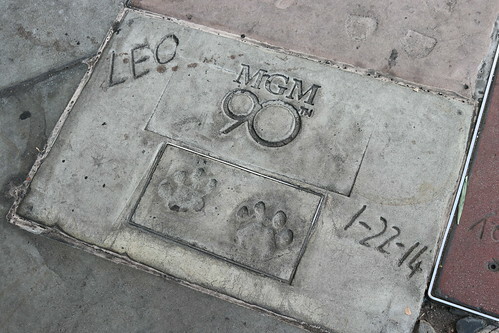 in Hollywood, California. 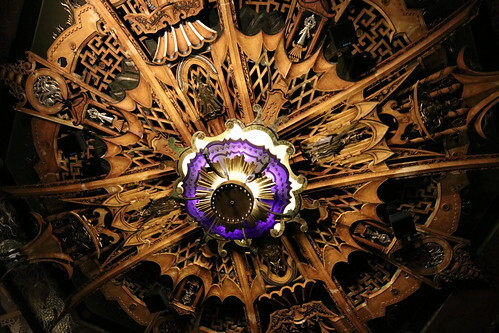 Originally and more commonly known as Grauman's Chinese Theatre, it was renamed Mann's Chinese Theatre in 1973; the name lasted until 2001, after which it reverted to its original name. 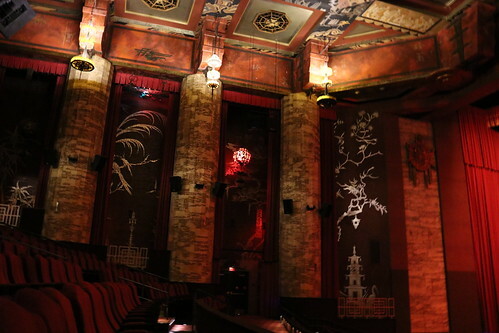 TCL Chinese Theatre is a movie palace on the historic Hollywood Walk of Fame at 6925 Hollywood Blvd. 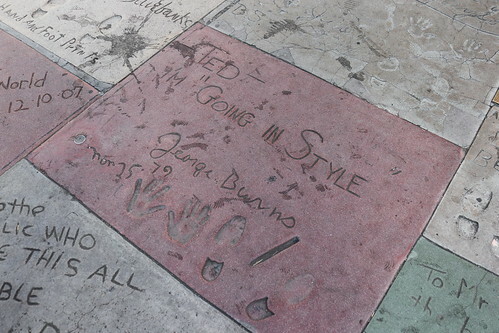 in Hollywood, California. 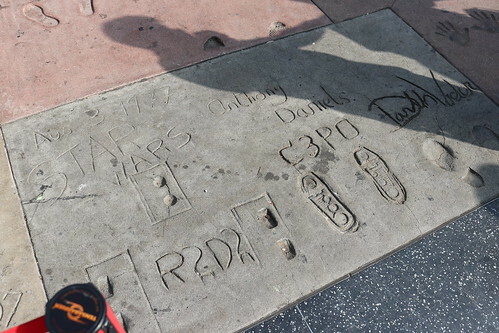 Originally and more commonly known as Grauman's Chinese Theatre, it was renamed Mann's Chinese Theatre in 1973; the name lasted until 2001, after which it reverted to its original name. 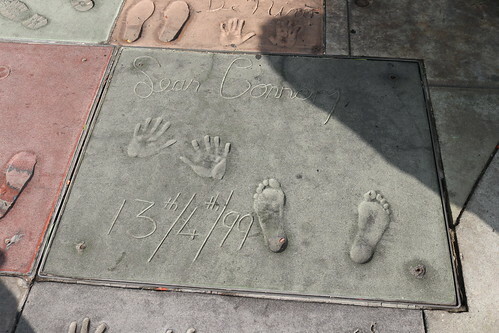 How did he do such fantastic stunts with such little feet? 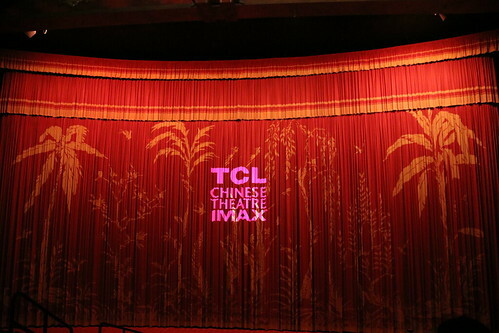 TCL Chinese Theatre is a movie palace on the historic Hollywood Walk of Fame at 6925 Hollywood Blvd. 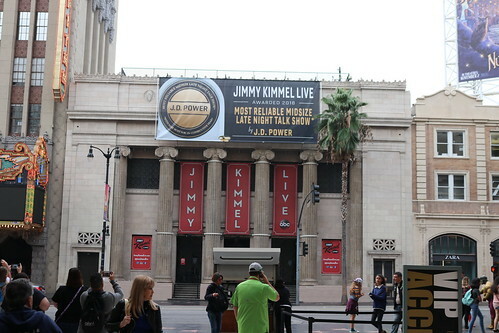 in Hollywood, California. 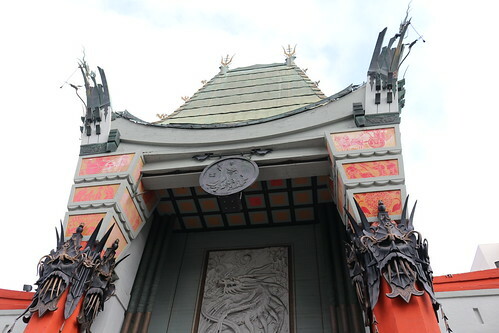 Originally and more commonly known as Grauman's Chinese Theatre, it was renamed Mann's Chinese Theatre in 1973; the name lasted until 2001, after which it reverted to its original name.